We know you have a big message to share, and that you dream of being a positive influence and role model to other people. People who, right now, are ready and eager to learn your knowledge in your unique way. Whether it be to a small group or to the entire world, Life Beyond Limits Trainer Training will show you how to create any training you desire and give you the system to do it easily. In just 7 days, we’ll show you how to become a charismatic trainer that not only gets results for their students but also creates a six-figure plus training company. You will also learn how to create a system to generate leads and turn those leads into students. This knowledge and system is alone worth the full training fee. Combine this 7-Day Training, together with Life Coach & NLP Practitioner Training and our Master Coach & NLP Master Practitioner Training and Speaker Training means that you can be an NLP Trainer and apply to become an accredited trainer through the ABNLP. All students will get all the files you need to start a training company including the manuals, slides, sales scripts and everything you need. In fact we’ll give these to you for up to a year to use, licence free. This is worth over $50,000! 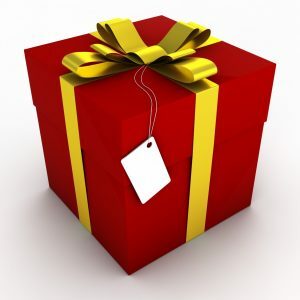 Learn how to become a charismatic Trainer, yes it’s a science! The complete marketing system to grow your business into a six-figure plus business within 12 months! possible. You will receive the following Certificate at the completion of the Training. 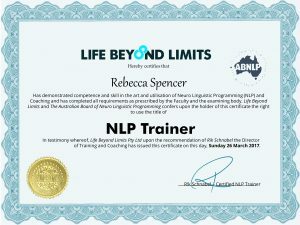 Our Trainers are Accredited with the Australian Board of Neuro-Linguistic Programing (ABNLP). All of our courses offer incredible networking opportunities with leaders/movers and shakers from many different industries and sectors all sharing in each other’s growth. Many students have made friends for a lifetime. From time to time we invite industry experts other relevant guest speakers to further enhance your knowledge of the industry and marketplace. 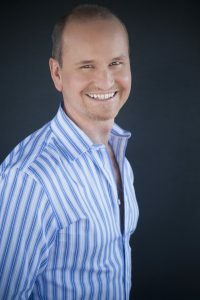 Rik Schnabel is an internationally qualified, nationally accredited NLP Trainer, he’s also known as the “#1 Brain UnTrainer” and has been teaching NLP since 2006. He is also the author of the bestselling books, The Secrets to Creating a Life Beyond Limits, The Power of Beliefs: 7 Beliefs That Will Change Your Life, ROAR! Courage: From Fear to Fearless and The Life Coach Millionaires. He is a valued source to the media and highly respected trainer. R!k has a strong business background as a former Marketing Manager with News Limited and founder of a multi-million-dollar advertising agency. To Find Out More phone: +61 3 8669 1121 or email us via: rebecca.spencer@lifebeyondlimits.com.au.